The Piraeus Marine Club was established in 1968 by a group of Shipowners. 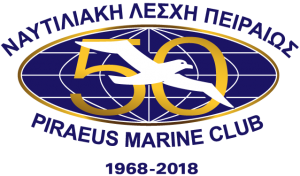 Today, 50 years later, the Club has a membership of more than 500 members and its symbolic logo, the seagull with the universe in the background, is displayed on the walls of shipping executives’ offices, both in Greece and abroad, in testimony of their membership. Shipowners, Bankers, Lawyers, Insurance Brokers, Shipbrokers and many others from all over the world meet for a friendly chat, creative dialogues, professional briefings and profitable business deals are completed over lunch or a drink. With a breathtaking view over the Port of Piraeus, the facilities of Piraeus Marine Club are ideal settings for the frequent seminars, luncheons and receptions held throughout the year. While Lunch and Dinner menus are created upon request the Club has a selection of fixed Buffet Menus. Once a month the Piraeus Marine Club organizes a National Theme Luncheon with the presence of the respective Ambassador and once a year organizes a renowned P&I Conference under the supervision of Mrs. Maria Prevezanos. In addition a Life Achievement Award Luncheon is held honoring its Senior Members. The Club is open all working days between 10:00 – 18:00 hours.